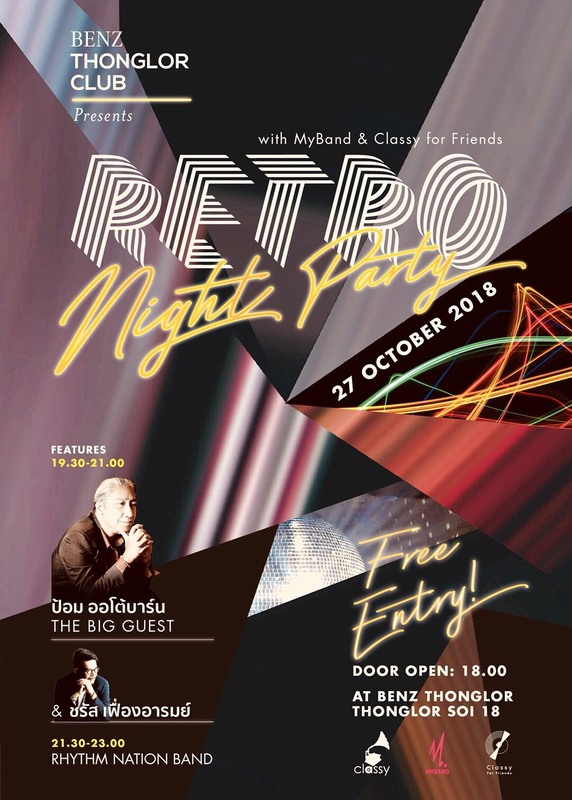 Benz Thonglor Club presents "Retro Night Party"
คอนเสิร์ตซีรีย์ Retro Night Party ครั้งแรกนี้เข้าชมฟรี และยินดีต้อนรับทุกคน อาหารและเครื่องดื่มมีจำหน่ายภายในงาน พบกันที่ Benz Thonglor (ทองหล่อ ซอย 18) อย่าพลาดความประทับใจนี้ในวันที่ 27 ตุลาคม 2018 เวลา 18.00 - 23.00 น. A wonderful night of retro music, good food and good vibes. Let us take you back to the good old days. Mr. Pom Autobahn will bring you joy with his soothing vocals. Mr. Charas "Tam" Feungarom will perform his greatest hits to melt your heart while Rhythm Nation Band from MyBand will make you feel groovy. 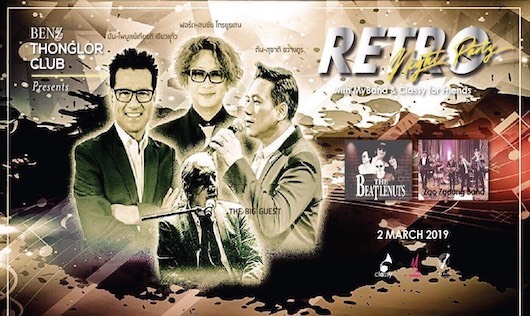 The first event of the free entry concert series will be held at Benz Thonglor (Thonglor soi 18) on Sat 27 October 2018 from 18.00 - 23.00. Food trucks and beverage are available. Please don't hesitate to join us on this wonderful melodic night. 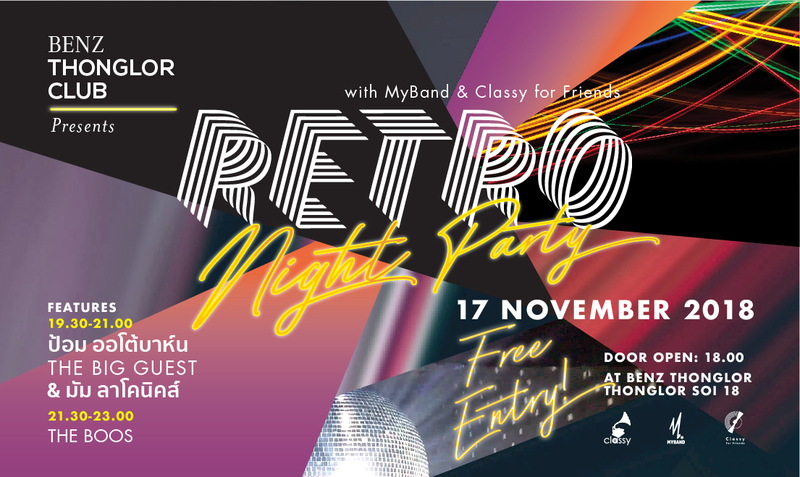 BENZ Thonglor Club presents "Retro Night : The Grand Finale"
Benz Thonglor Club presents "Retro Night Party2"